Many questions that could determine the credibility of the national elections, now due on 30 July, remain unresolved in what is set to be the most important vote in a generation. 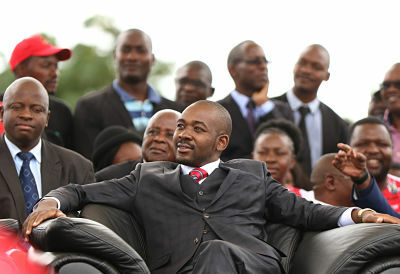 Confident predictions within the ruling Zimbabwe African National Union-Patriotic Front that it would sweep the board have given way to talk about the possibility of a national – or power-sharing – government after the elections. Some insist that talks between ZANU-PF and its opponents have already started. How seriously to take the 12 June statement by Bruno Tshibala, Congo-Kinshasa's Prime Minister, that President Joseph Kabila will not seek a third term in elections due in December? Such announcements might deflect foreign pressure on Kabila to leave power in December. Unfortunately for Monsieur Tshibala, his word is not law in Kinshasa. He serves at the pleasure of President Kabila but now wants to run for the top job. Kabila may have promised Tshibala that he won't stand but his actions indicate otherwise. His own ruling alliance in parliament has named Kabila as its 'moral authority' which suggests that he will either be its candidate in the elections or decide who is. Across the country, posters appear lauding Kabila's achievements: they look suspiciously like election posters. The Kabila government's success in pushing through higher taxes and royalties on the mining companies (see Feature, Making the miners sweat) has boosted its popularity. Some in Kinshasa say that Kabila will back his close ally, Albert Yuma, Chairman of the state mining company Gécamines, for the presidency but retain heavy political influence. Kabila may be encouraged by the state of the opposition. The release of veteran politician Jean-Pierre Bemba by the International Criminal Court on 13 June allows him to run for the presidency, further dividing an opposition torn between support for Félix Tshisekedi and the former governor of Katanga, Moïse Katumbi.